October 23-31st is Red Ribbon Week, celebrated in schools and communities across the USA every October. This year’s theme is Your Future Is Key So Stay Drug Free, and was created by Iris Yu, a student at Solon Middle School in Solon, Ohio. During this week, students learn about the consequences of using drugs, while parents and community members are encouraged to take the pledge to be drug-free, to talk to their children and others about the dangers of using drugs, to set a good example for their children, and to encourage family and friends to follow the same guidelines to keep children safe from substance abuse. Activities in school may include Crazy Sock or Hair Day, Sports Team Day or Hat Day. There is also a National Red Ribbon Photo Contest. 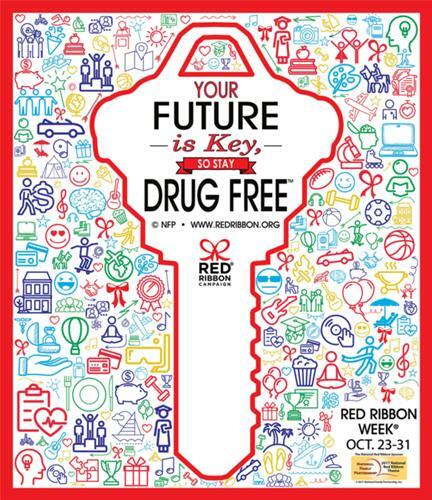 The Red Ribbon Week website has more information on the program. To see Escape employees showing their support, visit Escape Technology's Facebook page. The wearing of red ribbons began in the mid-1980s after DEA Agent Enrique Camarena was killed. It began as a symbol of community commitment to raising awareness of the violence and destruction caused by illegal drugs in our country.